"When is the best time to buy real estate?" 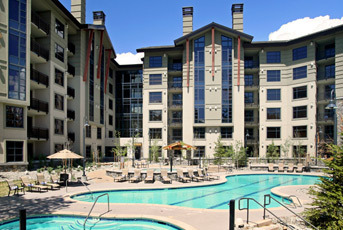 "Is Mammoth Mountain a good place to invest in real estate?" "What is the real estate market like right now?" These are all commonly asked questions I recieve on a daily basis. The answer lies between the mountains in the Eastern Sierras. Since the early 2000's, Mammoth Mountain and surrounding areas have been a getaway for families and outdoor enthusiasts alike. 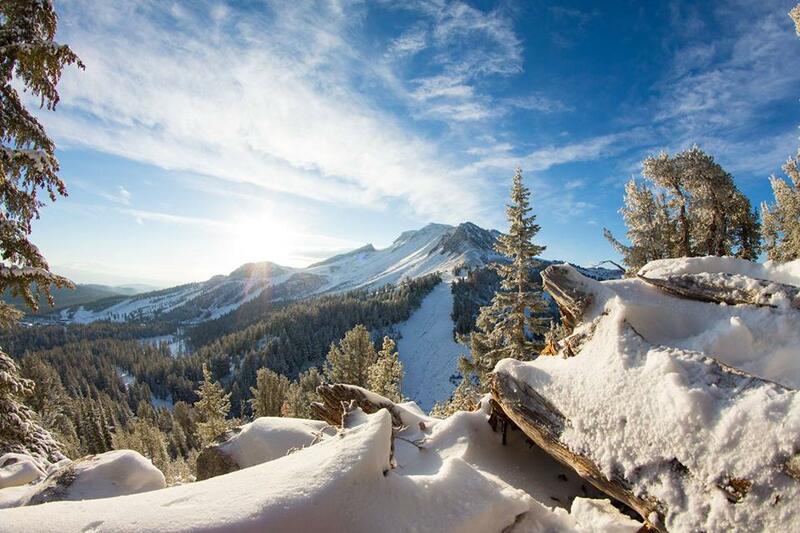 Growing in popularity, Mammoth Lakes has become the number one ski destination in California. Right now, the market is hot with dvelopment reaching new hieghts in the Inyo-Mono area. Despite lots, home and condos being bought up, Mammoth has managed to maintain the old-school ski town feel it is best known for. For Mammoth Mountain, the best time to buy real estate is NOW. Looking at a history of market prices and returns on investments, Mammoth is the best unknown secret in California for investment properties and the perfect getaway. If you are interested in purchasing investment properties to list on rental platforms like VRBO or AirBnB, call us now and let us help you find the perfect home or condo. Happy skiing, we can't wait to hear from you! The 2018 Pond Skim at Mammoth Mountain was a blast! Every year at Canyon Lodge closing day the annual Pond Skim attracts some crazy people in crazy outfits and is fun for the whole family. Contestants line up to take their shot at crossing the 100ft pond on skis or snowboard. Don't worry just because Canyon Lodge is closed, Mammoth Mountain will still be open for some great spring skiing. When you live in Mammoth, Life is always good! Let me, #MaggieLarsonMammoth help you pursue your dream of owning your own home in Mammoth Lakes, CA. Check out all the properties available for sale and my luxury long term rentals on my website. Happy Spring. It’s the time of year when we start fantasizing about backyard picnics and BBQs in gorgeous weather. If your fantasy involves clean patio furniture and a grime-free deck, you’ve probably considered doing some power washing. Before you get started, here are some things you need to know. 1. Power and pressure washing are not the same thing. 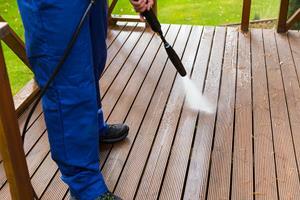 Power washing and pressure washing both use streams of high pressure water to clean surfaces. However, power washing uses a heating element and pressure washing does not. 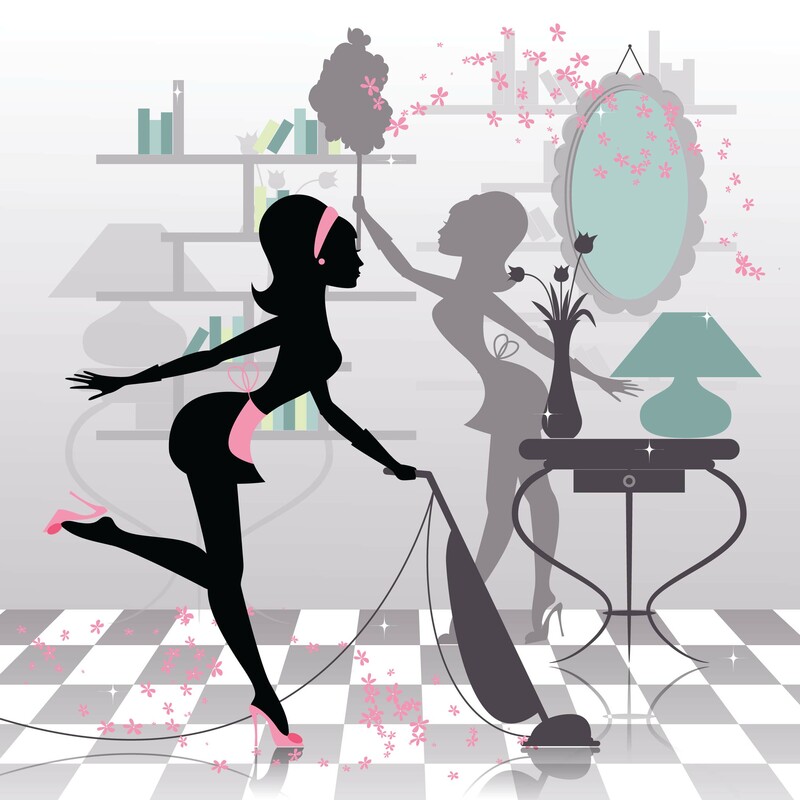 Knowing which option to use can help you get a better clean and avoid damaging your property. Power washing is the heavier duty option. Use it for large areas like extra-large driveways, hard surfaces that can stand up to the heat, and to get rid of extreme mold, moss, grease, and dirt. Pressure washing is safer for surfaces. Use it when you have a smaller area like a deck, patio, or driveway to clean or if you need to clean softer surfaces like tile, wood decks, and siding. Pressure washing is also safer on masonry, concrete, and brick. 2. 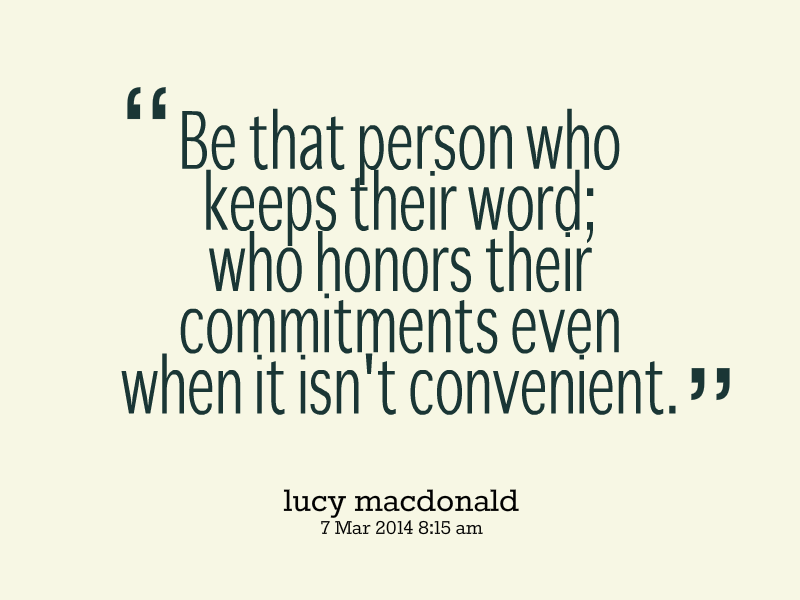 Sometimes you shouldn’t do either. Power and pressure washing are effective because they’re very strong cleaning options, but they may be too strong for some objects and parts of your home. Anything painted, asphalt roofing, laminar sandstone, stained wood, and anything old will probably be damaged or destroyed if you try to pressure or power wash them. Buy A Second Home in Mammoth Lakes, and Get The Best of Both Worlds! There is no doubt that surfing and sunsets are a big reason why many of us have a home in Southern California. That, despite the traffic, noise, pollution, and crowded population we can still find beauty in nature. 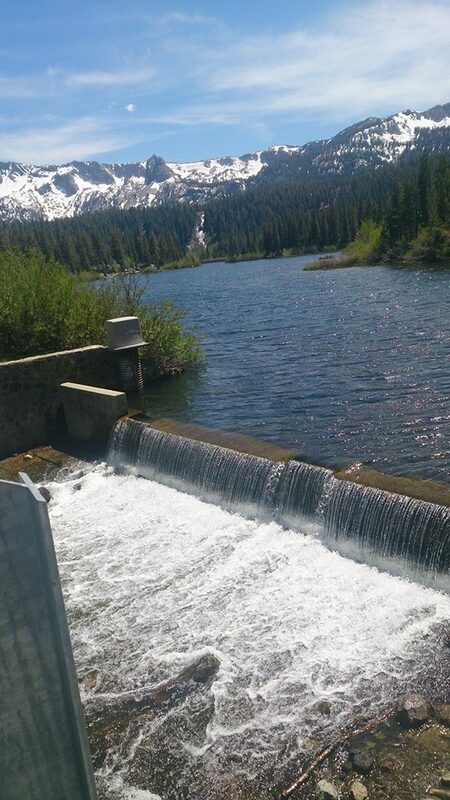 The Eastern Sierra offers everything you love about Southern California without the downsides! The summers here offer mild-warm temperatures to escape the heat and the winters bring a whole new range of sports and outdoor activities. 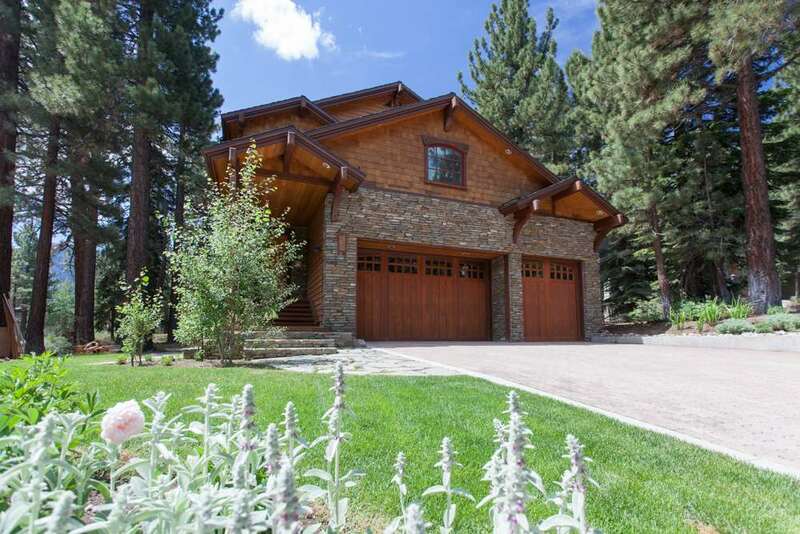 Owning a second home in Mammoth Lakes, is truly living the dream. Mammoth Lakes is the premier destination in California for numerous mountain activities including skiing, hiking, biking and much more. Excellent conditions in Mammoth Lakes, CA for President's Week 2016 means a high of 93% occupancy rate for the town of Mammoth Lakes. 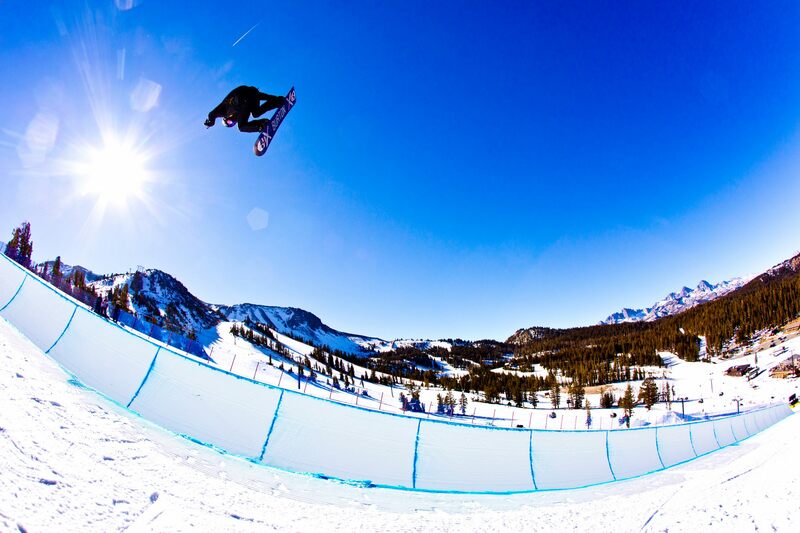 Mammoth Lakes, CA is booming and the conditions are amazing. There have been so many blue bird perfect skiing days this year it's been incredible. The snow is spectacular with a 9ft base, and the mountain is staffed and ready for you to come visit our world renown destination The Town of Mammoth Lakes and Mammoth Mountain Ski Resort. 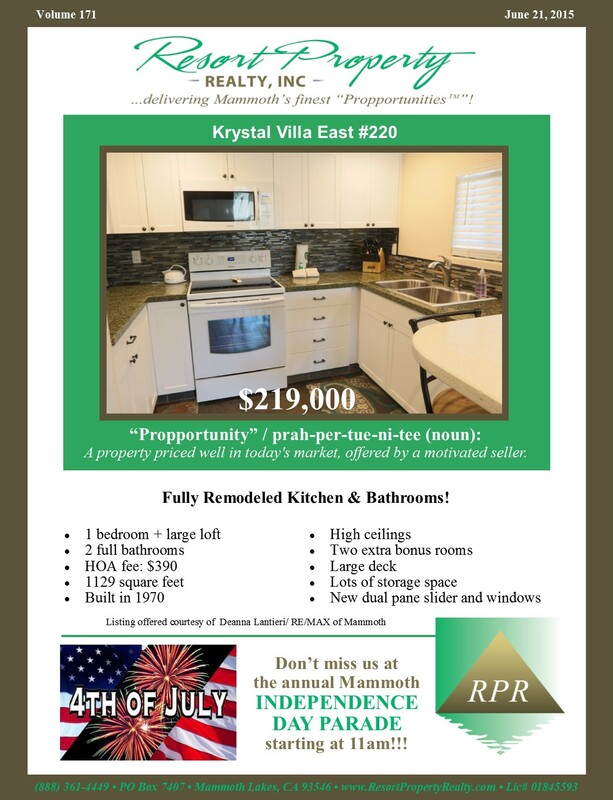 Mammoth Lakes Real Estate - Take an old condo, remodel it head to toe, and you get KVE#220 This complex might not much to look at from the outside, but this fantastic 1-bedroom + loft, 2-bath unit is move-in ready with both a modern kitchen and bathrooms. Partial views of Mammoth Mountain, pool and spa onsite, easy parking, downtown location, plenty of room, tons of storage, and low HOA fees. What are you waiting for? "Propportunity™" / prah-per-tue-ni-tee (noun): A property priced well in today's market, offered by a motivated seller. Just because it’s warmer outside doesn’t mean you can’t still visit Mammoth Mountain Ski Resort. In fact, there are a number of fun activities that take place here during the summer months, including one you won’t want to miss: gondola rides toward the summit. 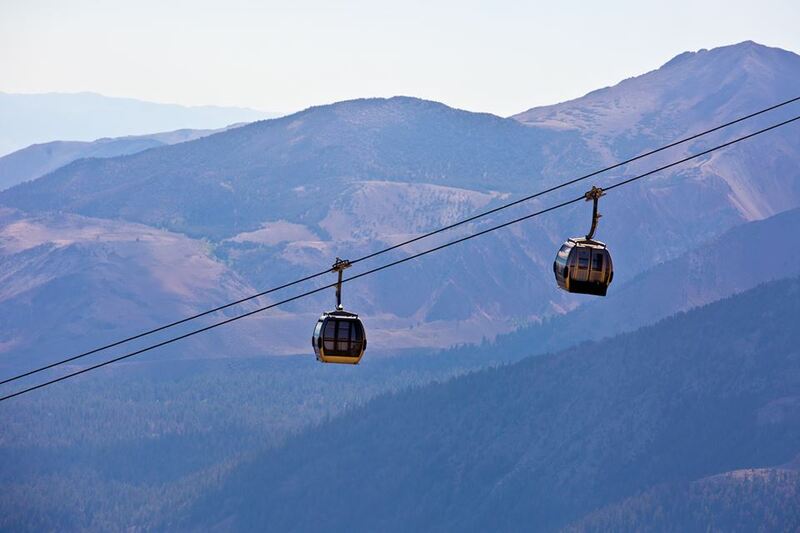 Gondola rides on Mammoth Mountain differ from others, as they are not a boat, but instead resemble a ski lift. A gondola ride will allow you to see an area of more than 400 miles, including numerous mountain peaks. The trip will take you an astounding 11,000 feet to the summit of the mountain, and will allow you to relax in the comfort of your own car while making the picturesque trek. At the top of the summit, you can enjoy a delicious meal at the Top of the Sierra Café, which specializes in serving salads, soups and sandwiches. You can also elect to have a picnic lunch included in the cost of your gondola ride, or simply grab a light snack from the café. Plenty of seating is provided overlooking the magnificent valley below. Stop by and visit the interpretive center while you’re at the summit. This center will provide you with the natural history of Mammoth Mountain and the Eastern Sierra in general. Some of the displays offered include those associated with the volcanic history, cultural heritage and geology of the region. 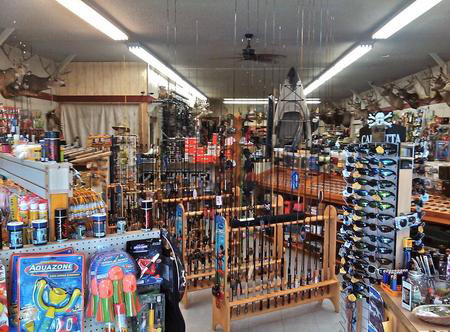 Are you looking for a place where you can stretch your legs, do a little fishing and maybe raise a few horses? 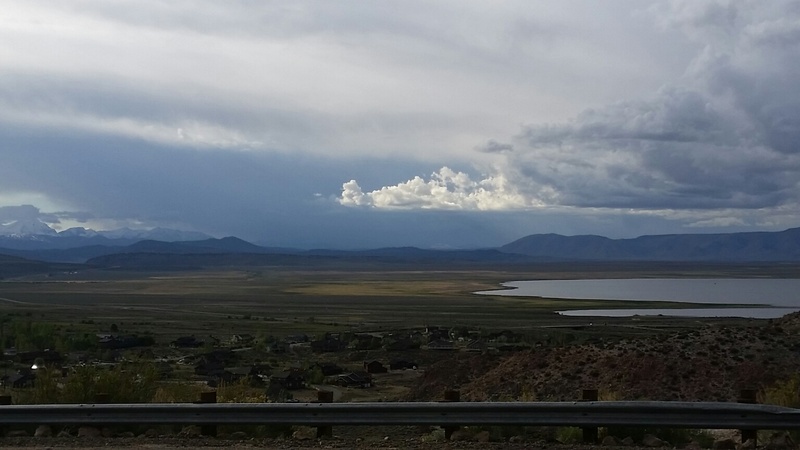 If so, Mono County's Crowley Lake area may be the perfect spot for you. Some of the properties are equestrian zoned and others offer easy access to the water, a BLM run campground and a fish camp. One of our many favorite Mono County properties is located on Aspen Springs Ranch Road. Built in 1997, it is the ideal spot to do many of the activities mentioned above and more. There is even a wine cellar, steam shower, indoor spa, fireplaces and heated floors included in the home’s layout. Plus, it was once featured in the magazine, Log Home Illustrated. If you are enamored with the idea of having your own pond and running creek too, the beautiful home on Hilton Creek Drive may be of interest as well. Built in 1989, it sits on a spacious, 1.01-acre tract of land that shares a border with the Inyo National Forest. So you won’t have to worry about feeling fenced in or under the constant, watchful eyes of neighbors. In addition, the forest is home to horse trails that are open to the public. 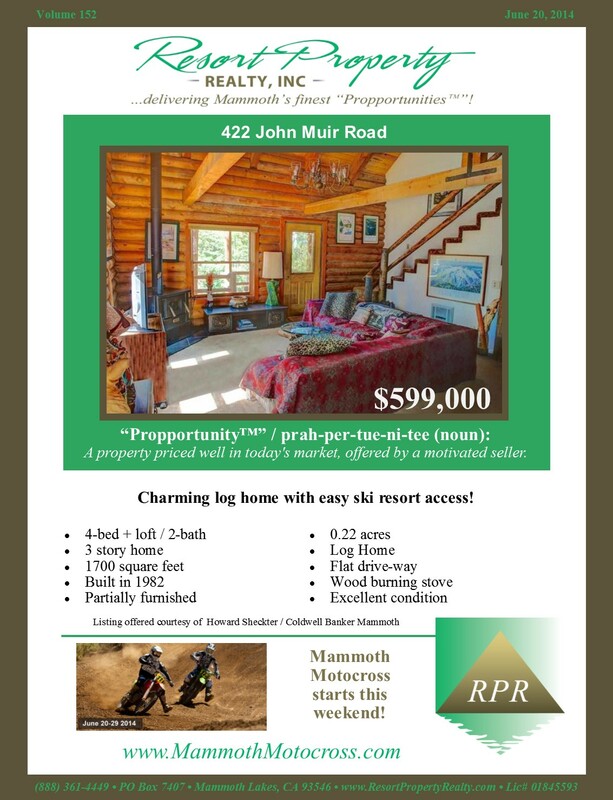 Contact Maggie Larson Mammoth for all your residential real estate needs including Mammoth Lakes long term rentals. Before you start scrolling through Eastern Sierra and Mammoth Lakes Real Estate listings or placing that For Sale or Rent sign on your home, stop a moment and remember one thing. Buying, selling and renting a home are three of the most important decisions that a person can make in his or her lifetime. So shouldn’t you select a Residential Specialist for Real Estate & Rentals to help you through the process? Residential Specialists for Mammoth Lakes Real Estate & Long Term Rentals are unlike other real estate agents. That’s because they have extensive experience, education, connections and familiarity with residential markets in their area. Take me for example. I’m a mother of five who’s spent 13 years living and working in the Eastern Sierras and Mammoth Lakes. I have first-hand knowledge about the area and its many services. In addition, my life’s work and education history have been focused on residential real estate and property management. There are also plenty of Eastern Sierra client’s that can vouch for my integrity and business skills. So locals and out-of-town clients alike can feel confident with my professionalism.